The use of intraoperative MRI (iMRI) increases extent of resection in transsphenoidal pituitary surgery. Microsurgical and endoscopic techniques have been established as equal and standard surgical methods. The object of the current study was to evaluate the additional value of iMRI for resection of invasive pituitary adenomas. We conducted a retrospective monocenter study of all consecutive patients treated with invasive pituitary adenomas graded as Knosp III-IV at our department after the introduction of iMRI in 2008. Out of 315 transsphenoidal surgeries for pituitary adenomas, 111 met the criteria for analysis. Patients treated with endoscopic or microsurgical technique were included. iMRI was performed at surgeons’ discretion, when maximal safe resection was assumed. Detailed volumetric tumor analysis using semiautomatic segmentation software (Brainlab Elements) before surgery, during surgery, and after surgery was performed. Additionally, demographic data, additional resection, endocrinological outcome as well as complications were evaluated. Postoperative tumor volume as measured in the follow-up MRI 3 months after surgery was significantly lower compared with intraoperative tumor volume (p < 0.001). The difference was statistically significant for both surgical techniques (p < 0.001). No significant difference was found between both techniques in intraoperative and postoperative tumor volume (p = 0.395 and p = 0.329 respectively). Additional tumor resection was performed in 56 cases (50.5%). We found no significant difference between microsurgical and endoscopic techniques regarding additional resection after iMRI (p = 0.512). New diagnosed permanent diabetes insipidus was found in 10 patients (10.5%, 10/95). New hypopituitarism was seen in 22.1% (21/95) cases and according to multivariate logistic regression was significantly associated with microsurgical technique (p = 0.035). Visual improvement was achieved in 76.8% (N = 53/69, p < 0.001) of patients with visual impairment before surgery. Revision surgery as the consequence of cerebrospinal fistula was performed in eight cases (7.2%). Meningitis was documented in three patients (2.7%). One patient died as a consequence of intraoperative vascular injury. 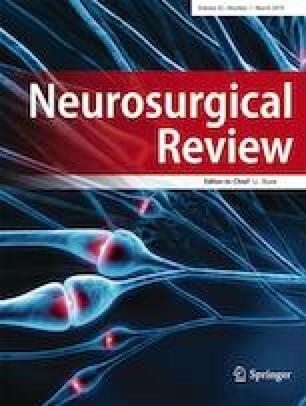 Intraoperative MRI after maximal safe resection significantly improves the overall extent of resection in invasive pituitary adenomas independent of the surgical technique employed. Simultaneously, iMRI-assisted transsphenoidal surgery results in excellent visual recovery with low-risk profile for surgical complications for both endoscopic as well as microsurgical technique. Endoscopic technique might be related to the lower incidence of new hypopituitarism after surgery. The study was conducted according to the International Declaration of Helsinki. The approval of the local ethics committee has been obtained (Nr.365/18).